Dupont’s Dirty Martini has now opened up their tiki bar. 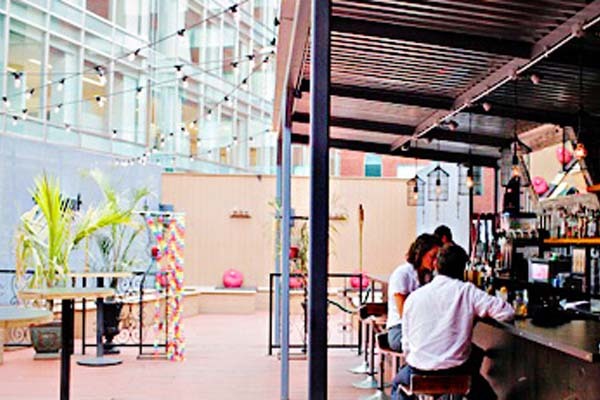 Tropical minded guests can enjoy rum-based mixes in a rooftop setting. Dirty Martini’s new Tiki Bar will be open ready to serve up a refreshing cocktail Monday through Friday. With hand-carved ice, 6 fresh squeezed juices, 9 syrups, a whopping 35 rum varieties, and an enticing menu with more than 14 hand-crafted cocktails, Dirty Martini is stepping up the tiki bar game in both variety and quality of beverages. With more than a dozen island-inspired cocktails, they are guaranteed to quench your thirst. There is even hookah available if you’re feeling so inclined.